Hot drinks always help to keep the cold at bay. Throw in a bit of Tennessee whiskey and woo-ha, it’ll warm your bones in an instant. 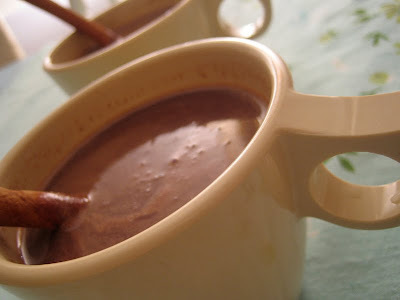 You can get the recipe for this hot chocolate toddy over on Poppytalk. And stay tuned, later today I’ll be posting some great holiday baking & gift ideas along with a special treat! Hot chocolate was meant to be with alcohol. I'm a hot chocolate + baileys fan myself. myboyfriend, I'm not so much a bailey's fan, but I think this can be remedied. LOL oh it will warm your bones indeed! and then make you want another and then another. I used to make these in college when we went night skiing. man those were good times!